A home win over Polokwane City is imperative in order to put the pressure on the teams above Maritzburg United, says head coach Eric Tinkler. The Team of Choice host Rise and Shine at the Harry Gwala Stadium on Friday night (8pm kick off). Blue Supporters T and flag on sale today! Buy either for just R50 from our offices today and win free tickets to tonight's match vs Polokwane City! With just 11 matches to go this term, every point is vital. “There is no easy game, that’s become more than obvious in this league,” Tinkler said. “And Polokwane have had a very good season so far and we are obviously going to have to be at our best. “But we’re playing at home, we’ve got to recapture what we had last season. 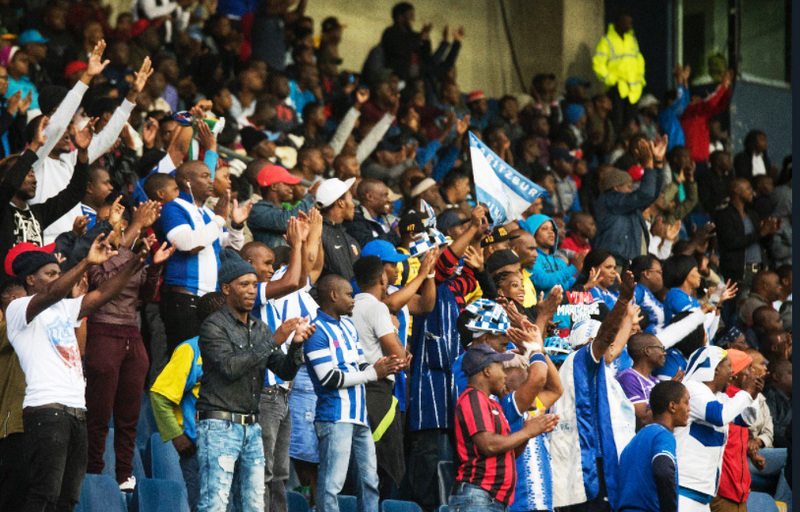 Last season at home Maritzburg were very difficult to break down and beat, so we need to try and recapture that. “We have six home games left, and in an ideal world, we need to win all six to save us from relegation. That has got to be the target, to collect maximum points at home. We must make the Harry Gwala Stadium a fortress, we must make it difficult for the opposition to come here. That’s not something new, because it existed here seven months ago. So we need to try and resurrect that. “Two bad results (from other teams near the bottom of the table), and two good results, changes your fate very, very quickly. Right now we have to make sure we close the gap as quickly as we can. Tactically, Tinkler and his technical team have been looking at attacking formations this week, although he also says that mentality could ultimately be key in climbing to safety on the table. “We need to have various options, to be able to play the balls into wide areas, to deliver quality crosses, because we have the type of strikers who can deal with that. Mohau Mokate and Judas Moseamedi are aerially very good. Andrea Fileccia is a box striker in my opinion. So if we can get the ball in there and people on the end of it, that is key for us right now.